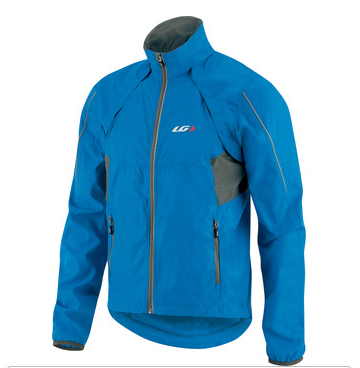 Our follow up to winter riding clothing begins. 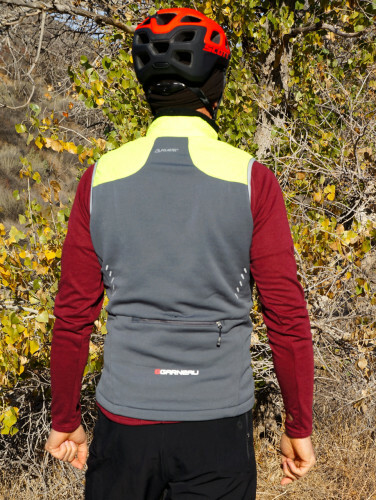 After a bit of use in typical riding conditions, we now begin the follow up on this post here, where we looked at a sampling of technical cycling clothing for the moderate winters of the Southern California Fall-Winter season. We continue with Louis Garneau. Well, as many of our readers love to point out, what is considered pretty harsh Fall/Winter weather here in So Cal is only moderate, compared to the cold conditions in other places around the nation, and the world. And all I have to say about that is….”Nyaaa, Nyaaa, Nyaah!” to all the rest of you jealous folks out there. However, as I type this it is still below 30° out there and it is well into the morning. The Cabriolet Jacket fits in then, as the Ad Copy says, for milder conditions, which means it is a good warm-up for a chilly morning or something to live in for a cooler day under changing conditions. 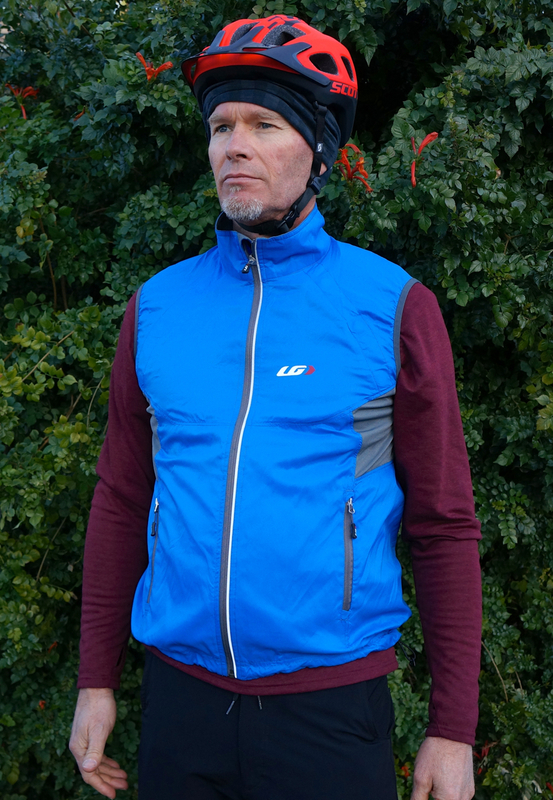 I used it mostly on the road, where the versatility of the two-piece nature of it really was a nice feature, allowing me to strip the ‘cape’ and go vest only. The fabric is nice against bare skin, not clammy like most of the bad weather shells are, but then again, this is NOT a rain jacket. With the sewn in vent sections, it breathes well enough. The magnets that hold the sleeves and ‘cape’ section on are pretty effective and easy to manage, although I did find it hard to tell which way was ‘up’ when re-installing the sleeves. But it beats those hard to deal with zippers that often require either the jacket to be removed to get them back on, or a second set of hands. With the Cabriolet Jacket, you can just slip into the sleeves like you are putting on a shirt and the magnets go *pop…click…click…pop* and there you go. Looking at the set up, I would have sworn that I would have felt cold air slipping under where the two halves join, but I never did, however I am sure if the weather conditions were bad enough, I likely would, but then I would be over the limit of the rest of the garment too. The cut is very comfy, a little bit fuller than the storm shells, but the silky material did not seem to flap too much on fast downhills. It is cut long. It easily covers the jersey tail. The tall collar is very comfortable, done just about right; as not as snug as it might be, but in keeping with the rest of the jacket. Where I think this would be great is for things like century rides or group rides in changing weather where the versatility, comfort, and ease of use would be well worth having. It sure could be an MTB thing too, although it is not very rugged in fabric, so I am not sure I would toss it against trail-side branches. Keep this jacket within its limits, and it is very well done. This was really an interesting piece of gear. 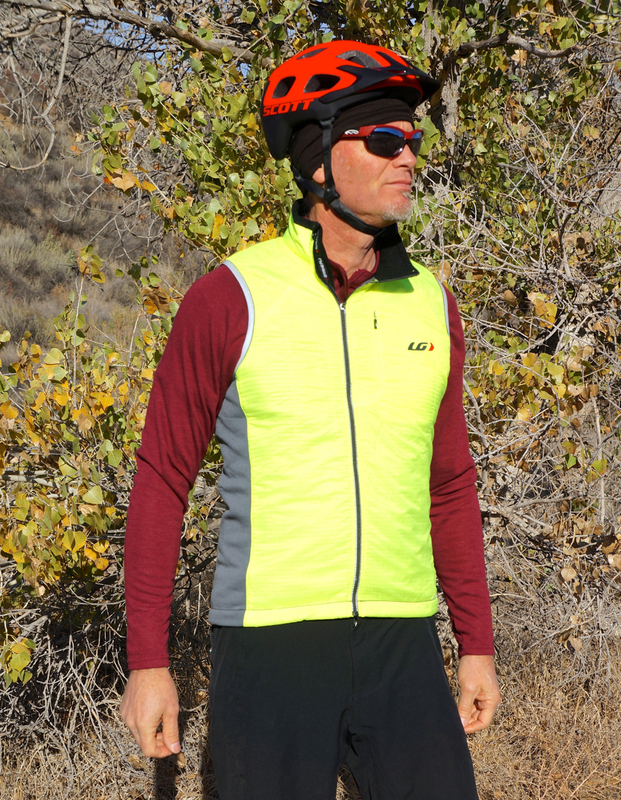 Every vest I have ever worn has been of minimal construction, with a light material that is just there to keep your core protected and yet slip into a jersey pocket like a wadded up napkin. But the Alpha Vest is not that at all. It is lined and a bit poofy, not minimal at all, and will fit into a jersey pocket, but takes up as much room as some jackets do. 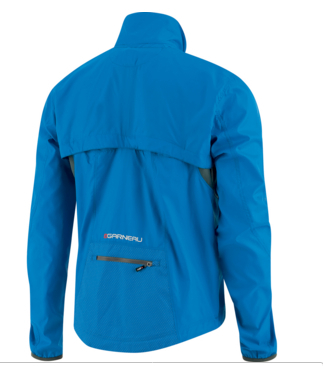 it does roll up into it’s own stuff sack, that being the rear zipped pocket turned inside out. 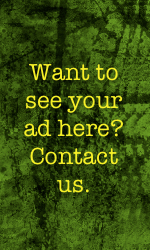 Works well. 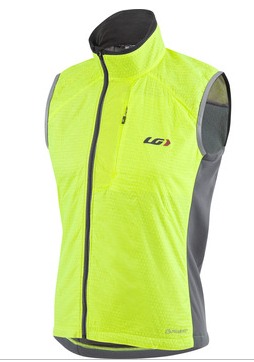 The front of the vest, where the bright green sections are, is very wind resistant and has a quilted fabric behind it. 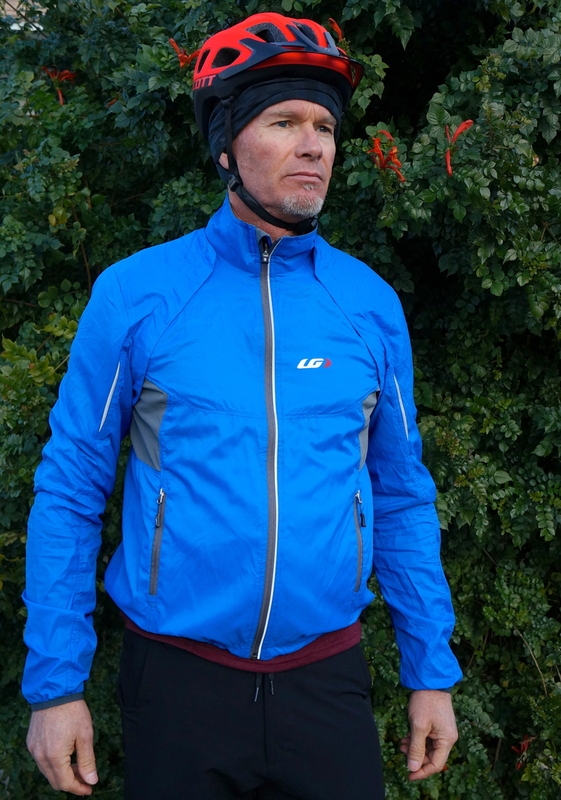 The grey areas are stretchy Polartec fleece, so they breathe well, and the collar is fleece lined too. There are some nice touches to it, like the strip of logo emblazoned material under the front zipper that keeps the silky material from being sucked into the ‘zipper grip of death’ when you least need that to happen. 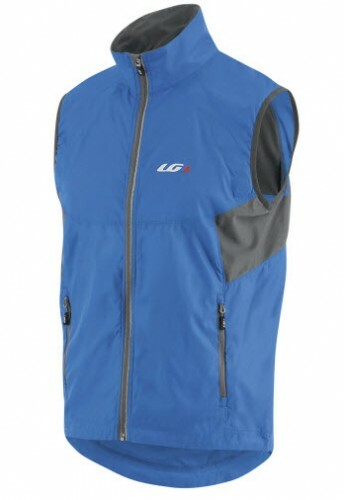 It is without a doubt the warmest vest I have worn, yet never seemed to be ‘too much’. 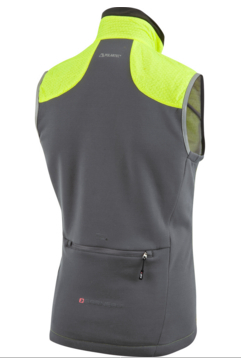 I really liked it for MTB riding where I could use a hydration pack to store it, and if I just wanted my core to be a good ‘notch up’ in warmth. Where I found it a bit confusing though, was, since it is quite warm to wear, and if the day is THAT cold, conditions might warrant a full-on jacket, not just a vest, yet the Alpha Vest took up storage room equivalent to a light jacket. A quandary. But I know many riders that run with warm, personal thermostats, so jackets are hardly ever needed for them to feel OK out there. But a vest is just right. For them, this is a really effective garment. I typically wore it over a SS base and LS jersey, running it as needed. Unzipping the Alpha Vest lets it pretty much free-flow, venting quickly, so it worked well for MTB rides, especially on the singlespeed, where I was powering up climbs, building up some body heat with the vest open in front, then diving down a quick canyon singletrack into the wind with the vest all buttoned down. 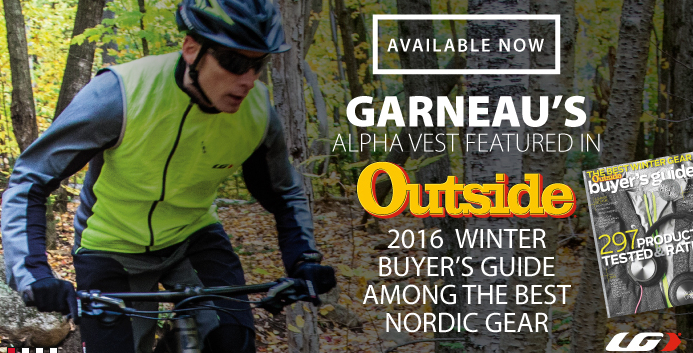 In the end, I came to understand the Alpha Vest and value it for what it does well. The Alpha Vest is unlike anything I have tried before in a cycling vest, but with the right mix of clothing and for the right rider, it is a very well done and a welcome piece of Fall/Winter gear. I have used these quite a bit, maybe more than others in the test batch. For one, they are a good color…black…for all around MTB or gravel or road use, and they are not ‘too much’ glove if it warmed up a bit. On-the-bike comfort was high and I never got cold in them, although I think the Bonty Softshell gloves we had on hand are a bit warmer. They passed the sink test where running water never penetrated the glove at all. I did have issues with the inner spandex cuff. That was a bit of a nuisance, getting in the way when I was trying to pull them on with moist hands, then, when I did have my hands in there, that inner cuff was difficult to grasp with the now gloved fingers to pull it into it’s proper place. Just a bit fussy, that’s all. At times I did feel like I was going to pull the inner lining out with my hands, although that never happened (and perhaps it cannot happen at all, but it felt like it could). But besides those two things, they were always warm enough for our somewhat mild conditions…40° and above…and ergonomically felt great for road or MTB. 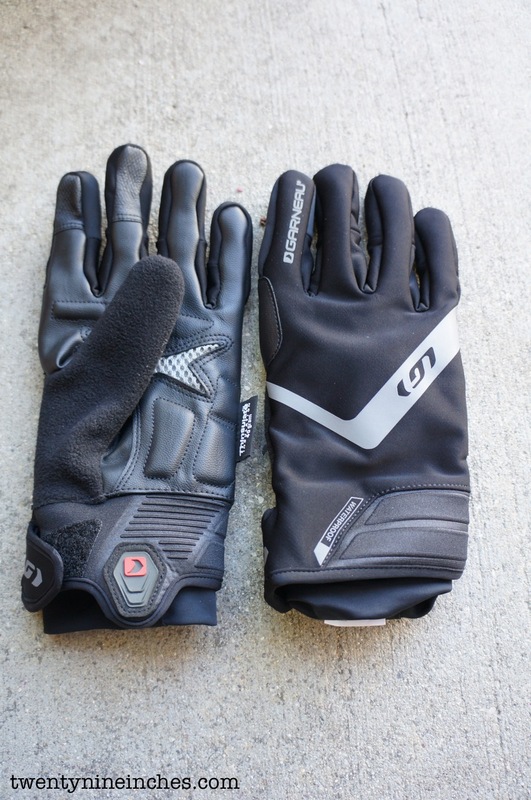 Not truly great gloves, mostly because of that pesky inner cuff, but very, very, good.